Recent Arrival! Titan XD Platinum Reserve Diesel 4WD, NAVIGATION, HEATED & COOLED LEATHER SEATS, 2ND ROW HEATED SEATS, AUTOMATIC, PUSH BUTTON START, PREMIUM SOUND SYSTEM, BLUETOOTH, REAR VIEW CAMERA, REMOTE STARTER, POWER DRIVER SEAT WITH MEMORY SETTINGS, BEDLINER, RUNNING BOARDS, LOCAL TRADE. CARFAX One-Owner. Clean CARFAX.We PRIDE ourselves on making your vehicle purchase FUN and STRESS FREE! If you are looking for a rugged truck that is capable of hauling heavy loads, then the new Nissan Titan XD, offered in Janesville, is a great choice. This truck is the right combination of superb performance and sturdy design. The new Nissan Titan XD, featured at our Janesville dealership, comes with a spacious interior that's not just comfortable, but also equipped with several options to keep you connected and entertained. It has a quiet cabin and ample storage options. You can browse our inventory and pick one that suits your budget and needs. 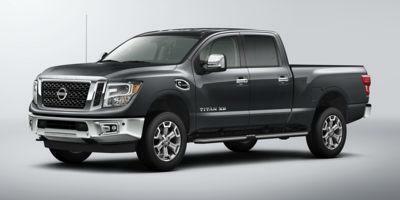 Contact our dealership to schedule a test drive of the new Nissan Titan XD in Janesville.